Want a free book for your Kindle or other reading device? You can win a copy of Chastity Flame this week with a little bit of ingenuity. If you examine the fabulous cover art by S. L. Johnson you’ll notice something interesting: there’s a pattern of number in the background, the ones and zeros of computer coding. It’s so ingenious! I marvel at the cleverness of the QoE and her amazing design sense. It’s just the perfect thing. But what does the code mean? 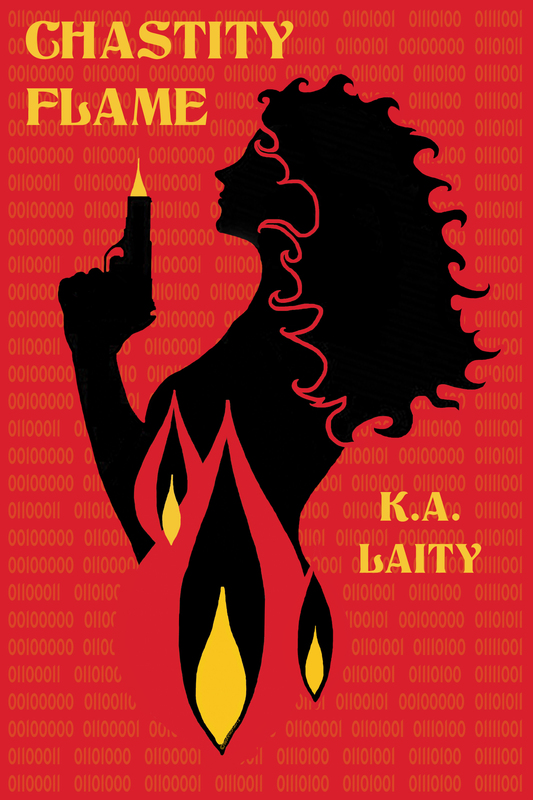 If you want to figure it out you can have a chance to win a copy of Chastity Flame: Book 1! Just remember the adult content klaxon: her wild adventures are not for everyone so genteel readers beware. How can you win? 1. Take a close look at the full size art over at Stephanie’s blog. 2. Figure out what the background coding means. I’ll announce the winners here on Friday! Get puzzling puzzlers!